Whether you’re looking for an irresistible desert recipe for Passover or just want to make a gluten-free chocolate cake, this recipe is exactly what you need. 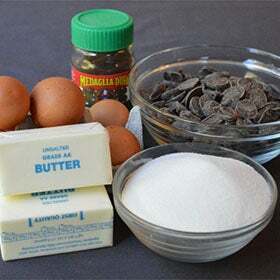 With just five ingredients and a little time, you can whip up a flourless chocolate cake that people will rave about for years to come…or at least until the next time you make it for them! Butter a round pan with high sides like a springform pan. 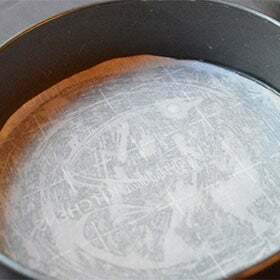 Cut out a piece of parchment paper large enough to cover the bottom of the pan. After buttering the bottom, place the parchment paper in the bottom of the pan. 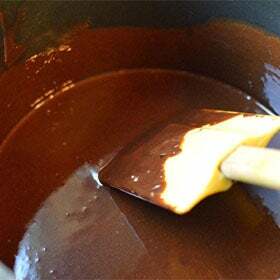 In a large saucepan on very low heat, melt chocolate and butter until smooth. 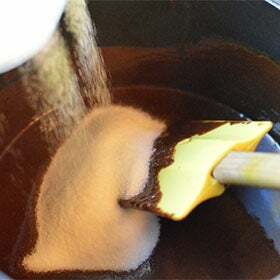 Add sugar and espresso powder to melted chocolate and butter, mix until blended. 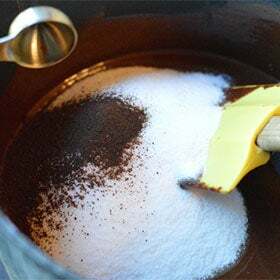 The espresso powder is optional, it just serves to make the chocolate flavor a little more bright. 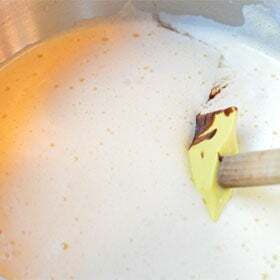 In a large bowl, whip all 8 eggs on high speed for 5 minutes or more until frothy and light yellow in color. 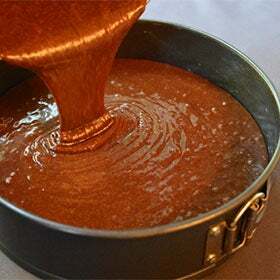 Gently fold chocolate mixture into whipped eggs until completely combined. Bake at 350F for 30 minutes. Reduce temperature to 300F and bake for another 30 minutes. 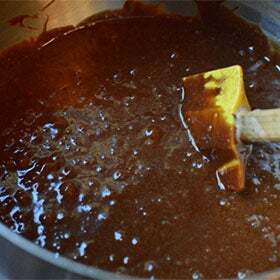 Test center of cake with a toothpick or sharp knife, if it comes out almost clean with just a few moist crumbs, remove from the oven, if not, cook longer, testing every 10 minutes for doneness. Run a knife along the outside of the cake and set aside to cool for 30-45 minutes before unmolding. This cake is very fragile and requires gentle handling when removing from the pan! Decorate with powdered sugar and serve.